Street Address No. 5, Ln. 194, XinXing Rd. 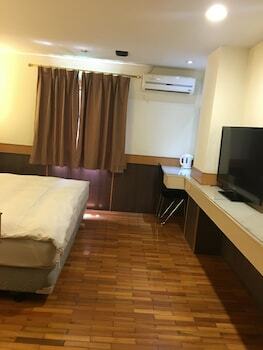 With a stay at Galaxy Hotel in Jungli, you'll be within a 10-minute drive of Chung Yuan Christian University and Jungli Night Market. Featured amenities include a 24-hour business center, a 24-hour front desk, and luggage storage. Free self parking is available onsite. Located in Yuchi, Sun Moon Lake Regal Group is minutes from Yidashao Pier and close to Sun Moon Lake Ropeway. Free self parking is available onsite. With a stay at Starshine in Ren-ai, you'll be within a 15-minute drive of Cingjing Farm and Small Swiss Garden. Featured amenities include express check-in, express check-out, and luggage storage. Located in Ren-ai, Formosa Fashion House is convenient to Cingjing Farm and Small Swiss Garden.